For thousands of years gold has been sought after throughout the world for its rich history and value. Coins containing gold first appeared around 800 B.C., and the first pure gold coins were struck shortly thereafter. Over the centuries, people have continued to hold gold for many reasons. Some good reasons why people continue to invest in gold today. People use gold as a way to increase and pass on their wealth from one generation to another. It has maintained its value over the ages, unlike paper currency or other assets. Storing your own stock of gold bullion or coins is still one of the surest ways to maintain, or increase, your wealth. Historically gold is an excellent hedge against inflation, as the price of gold tends to rise when the cost of living increases. After World War II during the five years when U.S. inflation was at its highest, the average real return on the ‘Dow Jones Industrial Average’ was 12.33%, compared to a massive 130.4% average return for gold investors. During periods of Deflation when business activity slows down and the economy is burdened with excessive debt, although not seen globally since the ‘Great Depression’, the purchasing power of gold soars greatly while other prices drop hugely. When the value of the dollar falls against other currencies, like it did in 1998 to 2008, people and wise investors will often move to the security of gold, this in-turn raises the price of gold in the marketplace. Gold prices nearly tripled between 1998 and 2008, hitting a $1,000 per ounce price in early 2008. Even though the U.S. dollar is one of the most important reserve currencies in the world, the country’s large budget and trade deficits still put it into decline during this period. Often called the “crisis commodity” gold not only retains its value in times of financial uncertainty, but also in times of geopolitical uncertainly. When tensions arise throughout the world people invest in the relative safety of gold as it usually outperforms other investments. Most of the gold on sale in the market since 1990s comes from the sale of gold bullion from the vaults of the world’s central banks. This selling by central banks was reduced greatly in 2008. Simultaneously, production of new gold from mines had been declining since the year 2000. It takes between five and ten years to bring a new gold mine into production. Generally, a reduction in the supply of gold increases the price of gold. Increased wealth in emerging market economies boosts the demand for gold. Today India is one of the largest gold consuming countries in the world, where gold is embedded in the culture. China also, where gold is a traditional form of saving, sees a constant demand for gold. 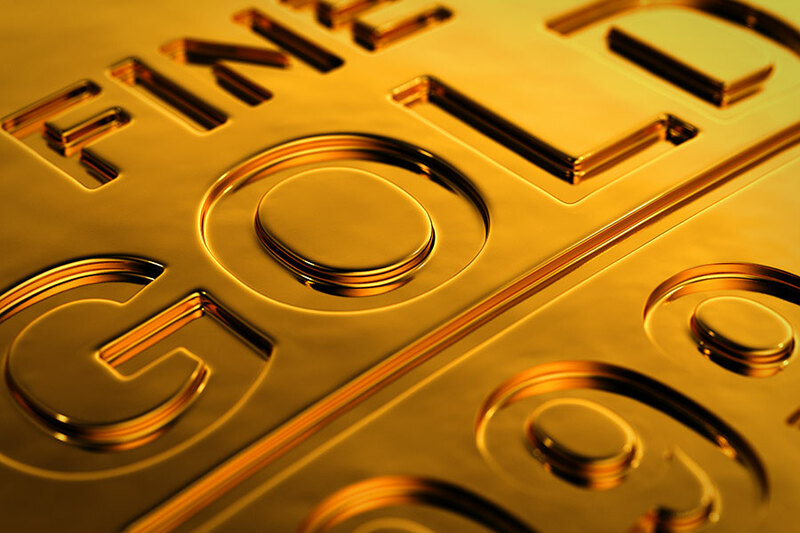 More and more investors worldwide are now viewing gold and other commodities as an investment class into which funds should be allocated as a good hedge. When spreading the risk on an investment portfolio, it is important to go into investments that are not correlated to one another. Historically gold has had a negative correlation to stocks and other financial forms of investment. A properly diversified portfolio combines gold with bonds and stocks in order to reduce the overall risk on the portfolio. Gold should be viewed and used as an important part of diversifying any investment portfolio. It is the ideal hedge as it increases in value in response to events that cause other investments to decline. Although gold can be erratic in the short term, historically it has always maintained it’s value in the long term. Also, consider the fact that there is more silver mined on a daily basis worldwide than there has ever been gold mined (since records began) and you should agree that investing in gold is well worth considering.